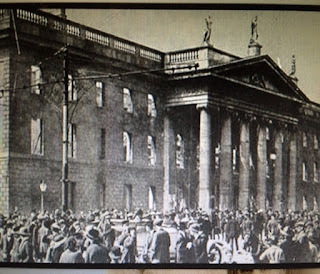 As we are remembering this year Irish men and women who played a leading part in the 1916 Rising I would like to remember a lesser known personality from the neighbouring county of Meath who was in the GPO for the duration of the Rising. He was Brian O‘Higgins, the uncompromising republican, 1916 veteran, Irish teacher, poet in Irish and English, balladeer and historian. His brand of patriotism encompassed both the pen and the sword. In Special Collections Maynooth University Library we hold eight of his publications. We also hold two volumes of The Wolfe Tone Annual which he published and edited between 1932-62. He was born in Kilskyre, Co. Meath into a family with strong traditions of nationalism. I first came across Brian O’Higgins when I was preparing an exhibition on local poet and nationalist Teresa Brayton. As poets and likeminded compatriots they became friends when Teresa returned to Ireland after spending over thirty years in America. I was intrigued when I discovered photos of Brian O’Higgins jnr. and Westmeath poet William Walsh taken outside her house in Kilbrook near Enfield. 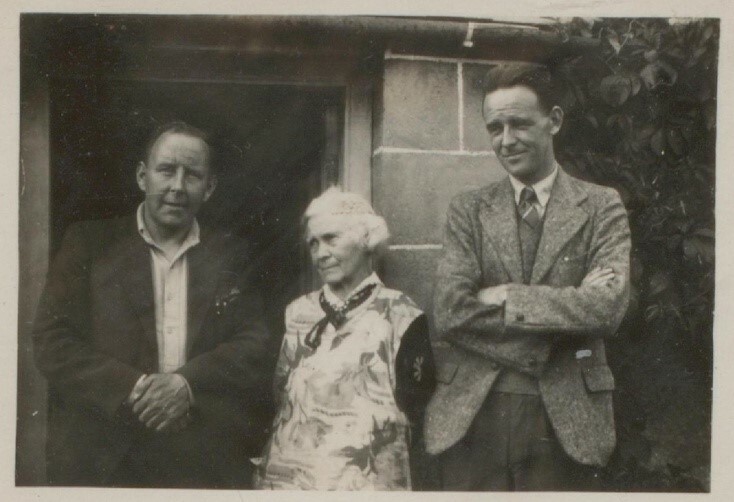 Benedict Kiely as a young man occasionally rode down from Dublin to spend time with Teresa wrote that he first met Teresa Brayton in Brian O’Higgins house in Clontarf. William Walsh Teresa Brayton and Brian O'Higgins jnr. At a young age he started to write and publish poetry in the Meath Chronicle. He then moved to Dublin where he worked as a barman and joined the Gaelic League where he studied the Irish language and learned Irish dancing and songs and published the first of his many books. He wrote for many regional newspapers and in 1906 he secured the Teastas Timire Gaeilge which allowed him to teach Irish. Around this time he married Annie Kenny from Dublin and they had six children. He met Padraig Pearse in 1912 and became more involved with political activities. He subsequently became active in the events leading up to the 1916 Rising. 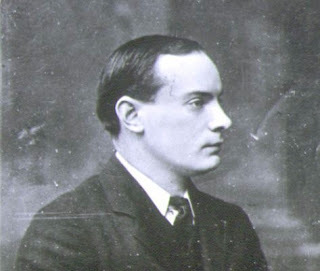 He was present in the GPO during Easter Week and after Pearse surrendered Brian was sent with many of the other Volunteers to Frongoch Jail in Wales. After his release in 1917 he became involved in an Irish College in Clare. 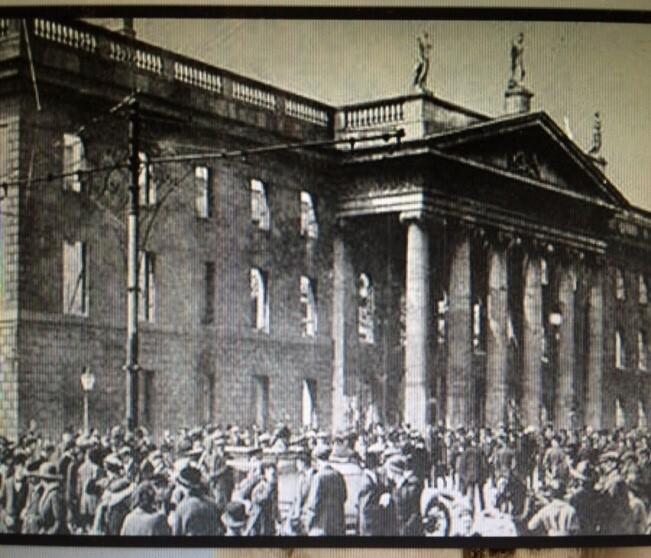 He served a further prison term in Birmingham and during this time he was elected to the First Dáil in 1918. In the Civil War which followed the Treaty he was on the anti Treaty side and was again imprisoned. In the Curragh he went on a twenty five day hunger strike which nearly killed him. When he was eventually released he returned to writing and delivering orations and speeches. He published The Soldier’s Story of Easter Week in 1926 which was an account of his own experiences during Easter Week and the following year Ten Golden Years: a little memorial of Easter Week 1916. In his book “Decoding the IRA” James Gillogly wrote “Many members of Sinn Féin were furious with de Valera for having ‘compromised his principles’. 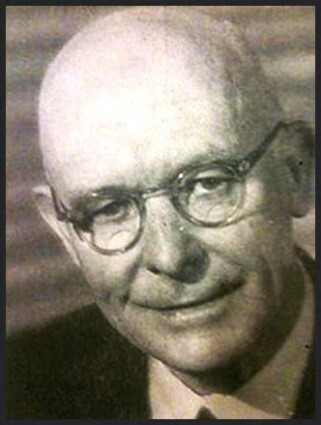 A leading member, Brian O’Higgins, was reported to have been so bitter towards de Valera that he left his own wife’s funeral when de Valera arrived to attend”. 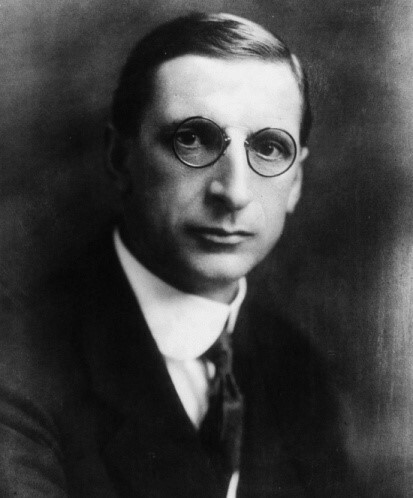 In 1938 he and seven other members of the 2nd Dáil signed over what they believed was the authority of the Government of Dáil Eireann to the IRA Army Council. For the rest of his life he continued to write poems and songs many under the pen name of Brian na Banban. In 1932 he started the Wolfe Tone Annual which recounted Irish republican history which he continued until the year before his death in 1963. Brian O’Higgins was no means a one dimensional character, he wrote humorous verse, satire, religious and nature poetry such as from his book of poetry in Special Collections called Glen na Mona where the titles of some of his poems are The Valley of the Boyne and Peggy O. By his own admission he knew he was considered by some to be “a crank, an irreconcilable and an extremist”. But he fervently believed the actions he took were because they were right. Of all the speeches he made over forty years he claimed he only made one speech “A man who does not turn his political coat……has only one speech”. I hope I have given a flavour of Brian O’Higgins who lived his life according to his own unswerving principles.